Today, I’m thinking of not doing any product review post but instead my personal shopping thoughts..! It all started with this irresistible offer i saw from Ettusais’s Facebook!! Only on 16 June, you can get a 3-step skin care trial pack for juz S$16! A face soap (cleanser).. A softener (toner).. A shooter (moisturizer).. That’s not all!! If you flash the above pic, you will be entitled to join a beauty workshop by Ettusais (worth S$30) on complimentary!! Now that’s really tempting!! Excitedly I told the promoter what I want..! She’s very friendly very 亲切！& I must say.. I’m impressed with Ettusais’s staff, esp their promoters. They are all very professional, friendly and does not give people a haolian (proud? Snob?) attitude.. You know some atas brand (which i won’t be naming) promoter, they only serve “potential” customers. If you dun intend to buy or even feel that their products are too ex, dun expect them to treat you with smile & patient.. Frequent beauty products shopper sure know what I mean.. But at Ettusais, i see that the promoters serve each & every of their customers tactfully & with a smile. Caiying (Ettusais promoter) served her customer very.. “gently”?! Haha! (wat a weird description) She’s soft spoken and always smiling. She will let her waiting customer knows that she sees them and will get to them after she finish serving her current customer.. I have thot of chging my skin care product to Ettusais after my first purchased some times back but totally no idea which product will be suitable for mi.. So I asked Caiying to give mi some recommendations and had made known to her that I won’t buying them today. She, still smiling, gave me good recommendations and even explain why those will be suitable for my skin type. I don’t know if Ettusais have trained their promoters to be this way but at least I’m glad that the 2 promoters I met at BHG (Bishan & Bugis) are really great! Really appreciate their patient to serve a so-many-question me! Haha! Thanks Xiaoying and Caiying! Have I drifted too far!? Ok back to my happy buy!! 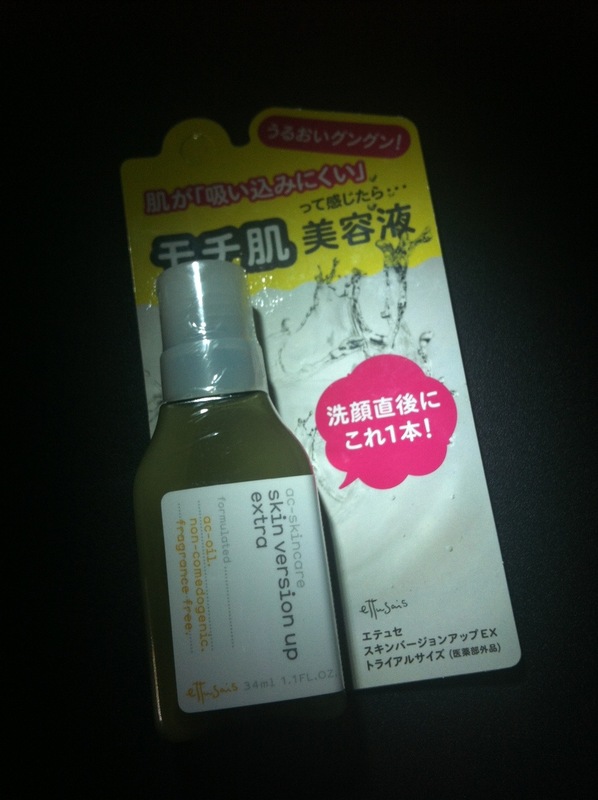 This is the Acne Skin Version Up Softener (34ml at S$16) I bought! I was given a “sample” size of this when I purchased my BB Cream using VanityTrove & Ettusais joint promo offer. 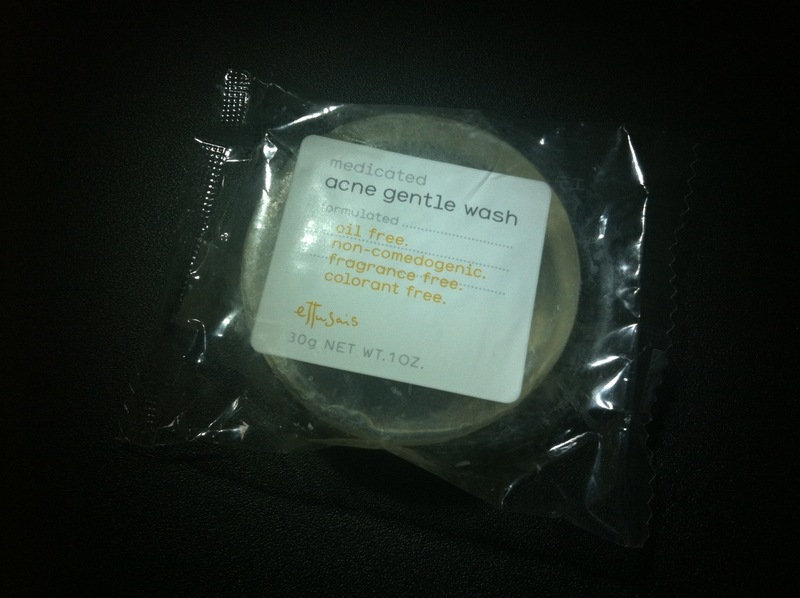 Well… I’m quite satisfied w this product that’s y decided to get this trial pack to enjoy more of other products! 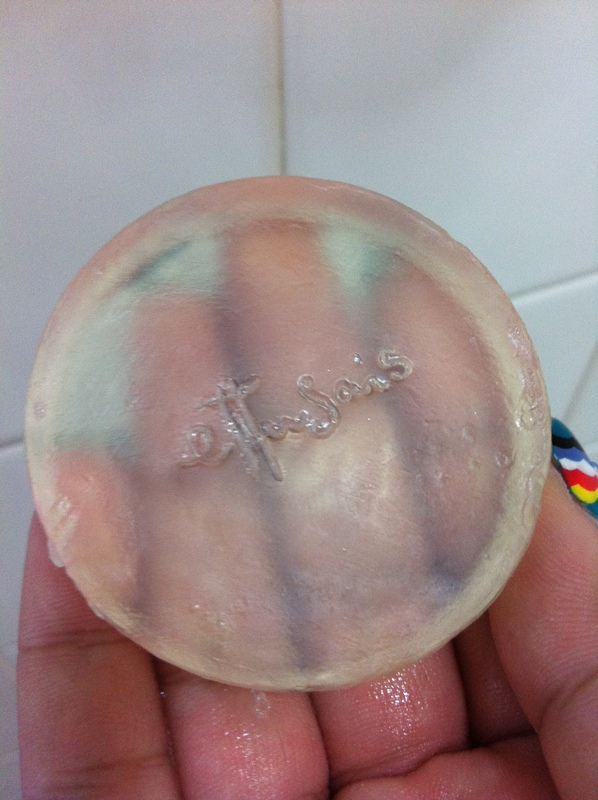 Just pour out about 5 cents size and apply to ur face, it will made it easier for ur moisturizer to be absorbed! 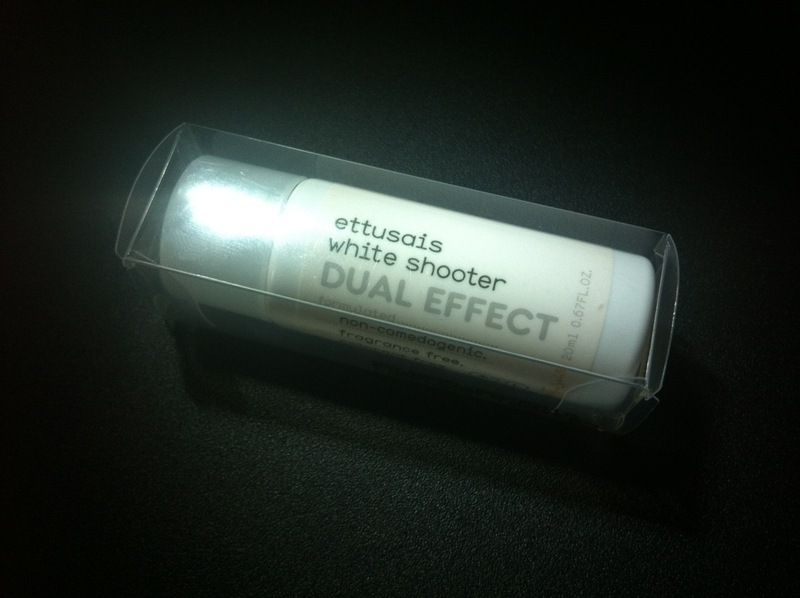 This White Shooter is one good stuff!! It acts as a moisturizer with whitening effect! If you have pigmentation concerns like I do, I think this will be good for u..! How to used?? Same! Jus pour out lil bit, about 5 cents size & apply to ur pretty face will do! It haven really reduced my freckles because I only used this twice! But I’m really excited over this product! 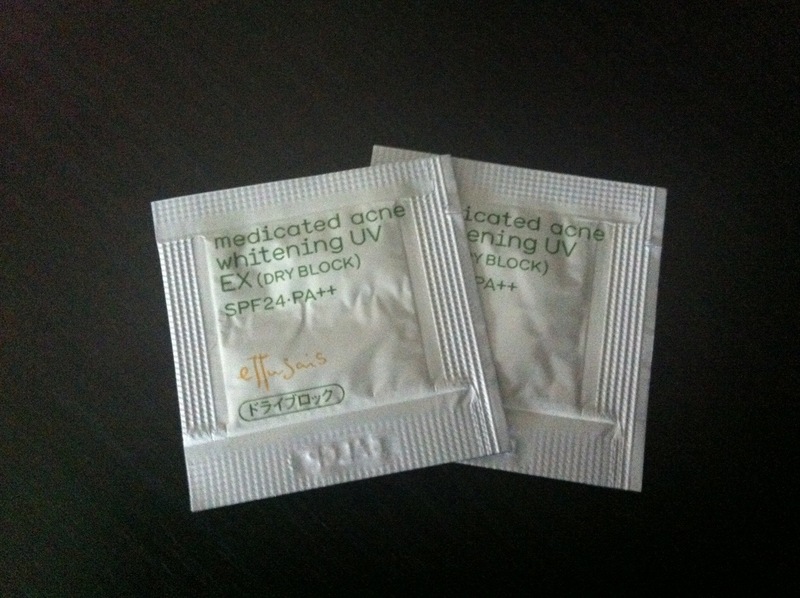 Last but not least…… Caiying gave mi 2 sun block sample to try when I asked her to recommend me a good one earlier on.. This is suitable for oily T-zone and can work as a make up base.. And importantly, it’s not oily (of cuz it’s not)! If this works well on me, I will consider getting it! This entry was posted in .Care for Skin, .Cosmetics/Makeup, Ettusais and tagged face moisturizer, face toner, face wash, soap bar, sun block by Tempted to Love. Bookmark the permalink.